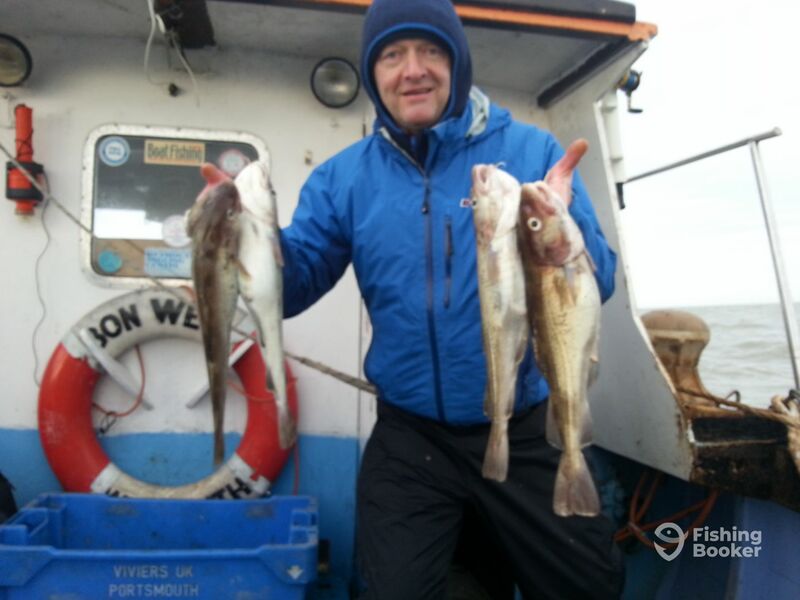 Plenty of codling still being caught from Ramsgate weather looking good all this week. Paul on Bonwey charters. Captain Paul Cumbers has been fishing his whole life. He's spent the past decade and a half fishing the waters of Ramsgate, learning the tricks of the local beasts and finding the best-hidden hotspots. He's more than happy to share what he's learned with his guests, whether they're first-timers or experienced anglers. He's eager to ensure you have the best possible time every time you go out with him. Got off shore today plenty of fish skate and spur dogs inquire through FishingBooker for spaces. Nice bass caught by Neil today plenty of fish being caught at Ramsgate Bass Hounds Skate.